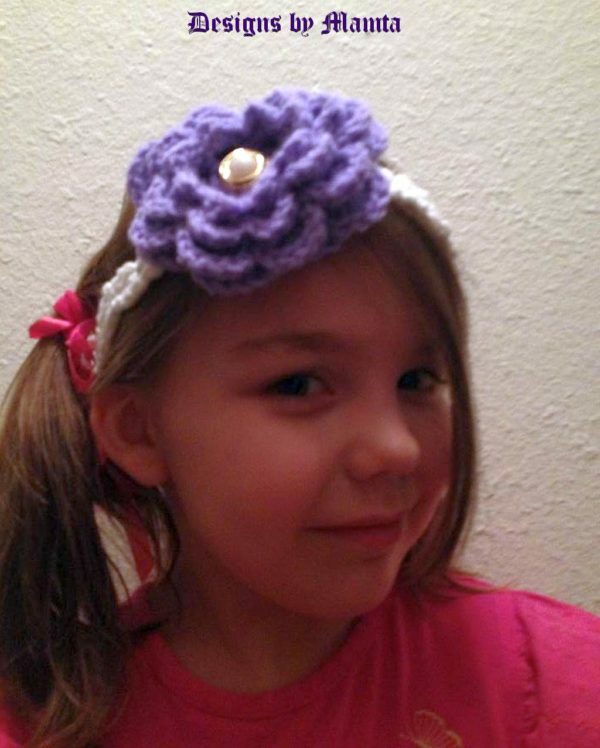 You will love to make this Irish rose crochet headband pattern which is really easy! It is a four layered Irish rose flower adorned on a leafy headband. The pattern comes with all the sizes as added benefit! It has several picture tutorials to make it easier to make this boho/ hippie flower headband. Another unique thing about this pattern is that you can also wear it as a necklace or hair accessory! Suggested Yarn/s: Valley Yarns Southwick in 2 colors: Natural(01) and Iguana(13). 1 skein/ball each. Crochet hook size: US size 7 (4.5 mm) or size needed to obtain gauge. Finished headband sizes in inches: 13, 16, 18, 20, 22. You Will Also Need: 2 Buttons, Matching sewing yarn for button, Sewing Needle, Stitch Markers, Lots of Love. Irish Rose Headband by Mamta Motiyani © 2013. All Rights Reserved.